I’m currently planning my trip to some of the best places for baseball fans on the earth. Boston and Cooperstown. 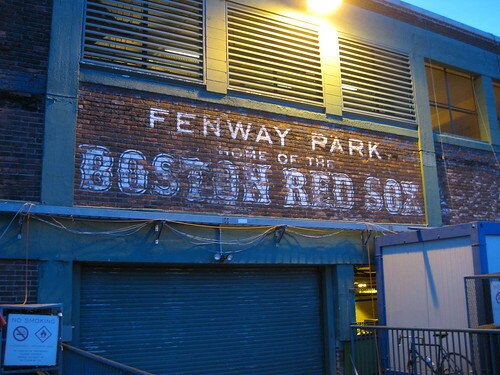 Fenway Park and the Baseball Hall of Fame. The Green Monster and the very best baseball players who have ever lived. Ever since I had this dream way back in July of 2007 of visiting all the ball parks over the next few years I’ve knocked out 11 stadiums. 11 isn’t a bad number, except that I visited all 11 in 2008. Last year I decided to go to Spring Training in the Phoenix area for the first time. I also went this year, as it is likely to be a yearly event now. The point is that I’ve lagged off after that first year of excitement. So this year I resolved to go to at least one new ball park. Since it’s higher on my priority list than say, Kansas City, I decided this was the year for Boston. I also decided since Cooperstown is relatively close, I should go there was well. If you don’t know what Cooperstown is, it is the home to the Baseball Hall of Fame. Of course, I’m doing some other touristy stuff while I’m there like sight-seeing Boston, spending a couple of nights in Hyannis Port, MA, and catching up with some friends. However, let’s be honest: This trip is about baseball. And September is the most exciting month for baseball.